Lee has extensive experience counseling distributors and franchisors, including drafting and negotiating franchise agreements for complex international and domestic transactions and advising clients on all aspects of franchise and distribution law. Lee also counsels clients on the application of technology to franchise and distribution systems. He focuses his attention on matters such as social networking and social media issues, e-commerce, data use and security policies, cybersquatting and domain name disputes, consumer complaint and cybersmear sites, as well as software and hardware licensing. 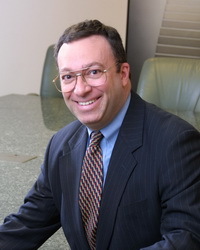 In addition, he represents clients in matters before the Federal Trade Commission. London-based Who’s Who Legal has consistently named Lee as one of the Global 10 “Most Highly Regarded Individuals” among franchise lawyers worldwide in its publication The International Who’s Who of Franchise Lawyers. In 2014 and 2015, Who’s Who Legal recognized Lee as the Top Practitioner in North America, as ranked by his peers.